It is always fun to head to Northern Minnesota in early fall. I love seeing the birches when their leaves start turning golden. The white trees just pop out against the autumn colors. 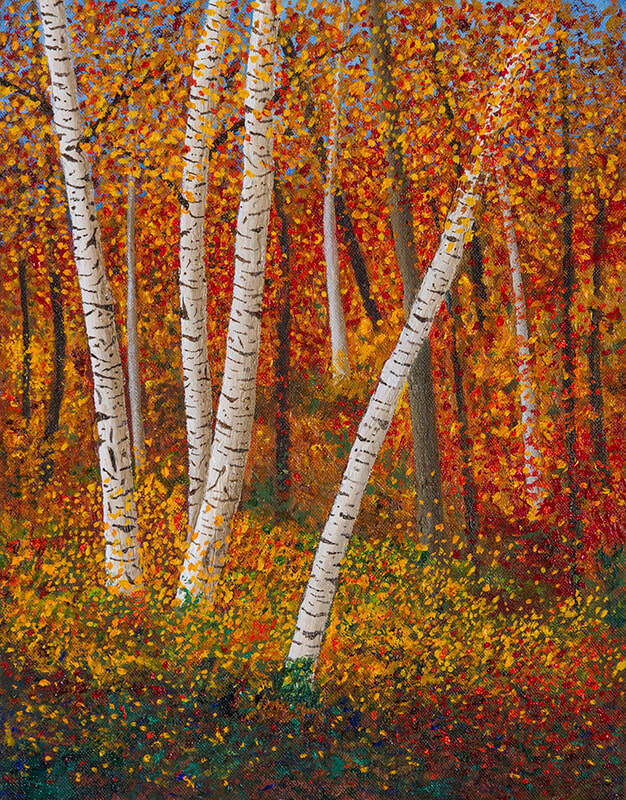 Such beauty inspired this painting, Minnesota Birches. ​May be purchased with or without frame shown.